While this story isn't "new" news, since brands like Warby Parker and Bonobos have been some of the first to make the physical leap, we are seeing a new and greater focus on experience. To do this, brands are getting deeper into the mind of the customer to understand why we try and don't buy, or what keeps us coming back for more. 1) AR/VR - The "try and buy" push that online brands are hoping to secure with physical locations won't last long as the virtual world integrates with the physical world in your own home. 2) Logistics - While Ron Harries from Fabletics and other retail experts believe that acquiring new customers is more efficient in a physical location, there is something to be said as tech improves the supply chain process and the online world continues to more closely resemble the physical one. With the increased and more enhanced integration of social channels, making the brand connection in the virtual world will be just another day on the web. As brands (and consumers) continue their pursuit for retail happiness, we're going to keep seeing shake up in the physical world. What they must not lose sight of is the brand promise and purpose that they've set out and continue to be customer- and not product-focused. 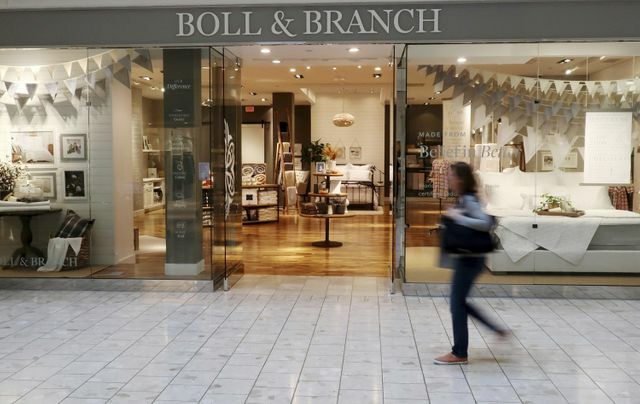 For a brand that’s less than 10 years old, new store openings mean a 45 percent increase on average in online traffic, says a recent survey by International Council of Shopping Centers.